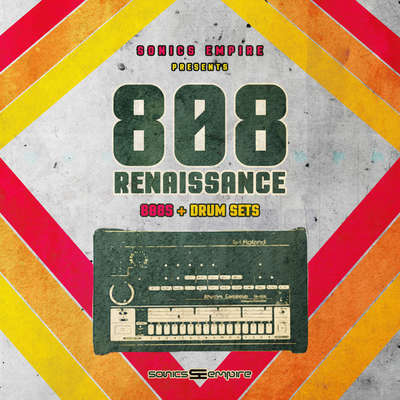 808 Renaissance from Sonics Empire is a collection of 243 sounds that are intended to build Ambient/Chillout, Hip Hop, Lo-Fi, RnB, Synthwave/Retro, Trap, Trap Soul music. The sample pack consists of carefully prepared samples of instruments such as Clap, Snare, 808, Kick, Hi-Hat . This library was inspired by top musicians, including Sam Smith, 21 Savage, Travis Scott, FKJ, Ariana Grande, Sonny Digital, Lil Pump, XXXtentation, Khalid, NBA Youngboy, Juice WRLD, Lil Skies. All sounds are 100% Royalty-Free. We empowered this library with UNBEATABLE drums processing that you can use for long term and mostly for any type of music compositions. This drums sound even fatter and bigger. with that being said, it’s time for you now to grab it and start a new era of your own production. Below You will find more Ambient/Chillout, Hip Hop, Lo-Fi, RnB, Synthwave/Retro, Trap, Trap Soul type sample packs.